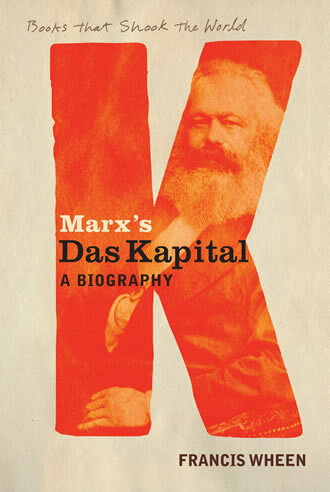 It would be easy to follow the model of others who have reviewed Francis Wheen’s biography of Marx’s Das Kapital. It’s well-written, they say, with some errors, but it is to be commended insofar as it encourages people to read the original. But this is to miss something important. Wheen is clearly enthralled by Marx’s literary achievements, and keen to admit the impact that his ideas have had and continue to have. But underlying his enthusiasm is a not-so-well-hidden mission to undermine Marx’s logic. Wheen crudely uses quotations ripped out of context to support his argument, fails to offer any source or page references so making any checking difficult and deploys ancient objections drawn from the armoury of anti-Marxists. At the same time, he throws up a smokescreen of apparent praise designed to set us all at ease. Behind all this, however, a sleight-of-hand attempts to turn Marx’s science of political economy into a work of fiction. Wheen seizes upon a famous example that Marx used to expose the errors of some economists concerning the difference between the value of a commodity that arises from its useful physical properties (use-value) and the quite different, but invisible kind of value (exchange-value) that manifests itself in the social relation of exchange. Exchange-value is the form of the value of a commodity which derives solely from labour. Exchange-value makes exchange possible. Marx says that “no chemist has ever discovered exchange-value either in a pearl or a diamond”. “This” says Wheen, “is a curious example to choose, since it exposes a limitation in Marx’s own theory. If, as he implies, the exchange-value of pearls and diamonds derives solely from the labour-time spent on retrieving and transforming them, why do people sometimes pay hundreds of thousands of pounds for a single ring or pearl necklace. Mightn’t those extraordinary prices also owe something to scarcity value, or to perceptions of beauty, or even to simple one-upmanship? If labour-time alone were the determinant factor, a doodle on a restaurant napkin by Picasso or a hat once worn by John Lennon would be worth no more than a few pounds – and the ‘value’ of a bottle of claret from a great vintage would be identical to that of an inferior vintage, if both embody the same quantity of labour.” Wheen claims that “Marx’s more reverential disciples deal with these problems by dismissing them as “freakish and irrelevant”. So Wheen’s challenge is at best premature and at worst disingenuous. Marx is talking about much earlier social forms and referring back to Aristotle and Homer’s discussions of value. Wheen, however, draws on today’s world, when the face-value of the quantity of paper money and credit hoarded and in circulation vastly exceeds the value of commodities it purports to represent. Here the holders of such increasingly worthless paper and electronic “money” are often searching for something more reliable, and are willing to exchange it for something more substantial, something more likely to withstand the effects of inflationary credit and debt. These are the both the contributory causes and consequences of the crises which arise from the expansion of commodities beyond the capacity of the available market, all of which Marx comes to much, much later. But we also can select modern examples to reveal the poverty of Wheen’s challenge. Everyday experience of buying reveals the obvious fact that the relation between the value of a thing and the price to be paid for it is a loose one, but that relation nevertheless exists. That one and the same item can be bought at many different prices is revealed by a brief search on the Internet. On November 16th, 2006, Froogle returned prices for the Dyson DC15 All Floors Bagless Cyclonic Upright Vacuum ranging from £229.00 via £269.99, £309.00, £318.97, £319.99, £329.99 to £349.00 and £349.99. Set side-by-side there would be nothing visible to distinguish between these identical items. There would be no significant difference. Are we to assume then that the values of the exact replicas are different simply because they are offered by different suppliers? Surely not. Admittedly the delivery cost may vary from supplier to supplier but not to the extent of £120.99, the difference between the cheapest and the most expensive. The cost of production is the same for each of them. The amount of labour required to produce each of the products on Dyson’s Malaysian production line remains the same. The value inherent in the article is the same, but the prices differ. It is well-known that James Dyson moved production abroad to reduce costs and expand production. Reducing the cost of production by being part of a global process that reduces the value of labour (and the price paid for it) means that Dyson can keep his products competitive. What happens when they emerge into the marketplace is a different matter. And it is clear that whilst many marketplace factors, including supply and demand, can affect the price paid, price can vary only in relation to the cost of production, else production must cease. We can also briefly begin to take on Wheen’s specific examples like the Picasso doodle without “dismissing them as freakish and irrelevant”. Marx is careful to talk about averages, about the socially necessary labour-time required for production of a commodity. The actual time expended on one item contributes to the average, but the value of that item is determined as part of the totality of items produced by society. Insofar as we are discussing artistic products that have been appropriated to serve as commodities, the use-value to society of an artistic product is determined by its physical properties. As an artistic product it must, in some way, reflect what we may call “the human condition”, or at least a moment of it. The more an artist touches the social nerve in some way, the more significance attaches to – in this case - Picasso’s products. The exchange-value is indeed determined by the socially-necessary labour time required not just for this one doodle, but by the average across the whole of society for the production of all art objects. This includes the many decades of training and practice needed by all artists before they acquire the sensitivity and skills needed to execute their work. But the price paid for a Picasso at any one time is greatly affected by immediate social questions, such as an impending economic crisis which wipes out the value of money, shrinks the stock markets and reverses the rise in property prices, together with the scarcity of such products. (And, as is well-known, prices show a tendency to rise on the artist’s death, since there can be no more). Under these conditions, the role of the art object changes from a commodity in circulation in the market-place to a store of value, to be added to a collection, often hidden from view in a vault, where, hopefully its value will ride out the financial storms. For this role, most importantly it must be possible to attribute the work to an identifiable individual whose star is, or is predicted to be in the ascendant. For this special purpose there are experts who develop the ability to detect the quality of the brushstroke as one part of the process of establishing provenance. It is indeed possible to analyse the role of art objects within capitalist society from an economic viewpoint consistent with Marx’s examination of the commodity. A more extended discussion about the value of art is however, beyond the scope of this review. So what is going on here? Firstly, the overall tone set for the chapter is rejection. Secondly, an attempt to dissuade any prospective readers due to the “difficulty.” But thirdly, and this is often a characteristic of reviews, some light shines backwards on the reviewer. Wheen is offering us his sympathy with Wilson. Surely he is not telling us that, like Wilson, he too gave up? This may begin to explain Wheen’s adoption and recycling of second, and third-hand criticisms. 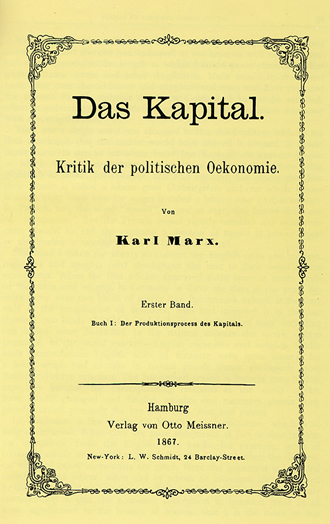 What we don’t discover from Wheen is that Marx’s dismembering of capitalist production and its vivid reconstruction in Das Kapital provided the much-needed theoretical input to the emergence of a great social movement. At the end of the 1880s, the struggles of the match girls at Bryant and Mays, and the gas and dock workers’ strikes led to the growth of the mass general trade unions and the organised force of the working-class which Marx characterised as capital’s gravediggers. A key figure on all of these struggles was Eleanor Marx. From the age of 16, in 1871, the year of the Paris Commune, Marx’s daughter had acted as her father's secretary, accompanying him to international conferences on socialism. She carried his ideas into this history-changing international movement. But this is all invisible to Wheen. And then we get to Wheen’s real enemies. Lenin is once again demonised for, among other things, allegedly turning Marx on his head. A single “quote” from Trotsky is used to set Lenin against Marx. (A search of the Trotsky archive at www.marxists.org fails to turn it up). And Lenin and Stalin are merged into one dogmatic being. Wheen really does reveal a contempt for history at this point. Wheen’s work is an easy and stimulating read and despite its errors, the author has an obvious passion for Marx. In the end, however, there is no substitute for an independent study of Das Kapital. Marx uses a dialectical approach to reveal the laws of capitalism, to bring out the contradictory sides of its basic unit, the commodity. That approach goes against the grain of the black or white, formal logic that schools and universities teach. Of course, studying Das Kapital is tough going. But we are talking about the science of political economy and not Hello! magazine.